Liposome technology is a breakthrough in human health and is used to deliver nutrients and medicines more effectively into the human body for optimal results. Liposomes are microbubbles made from lipids which encapsulate the molecule or substance to be delivered. These molecules, packaged in liposomes, are then taken up by the digestive system and delivered into the blood stream more effectively. This allows for smaller doses to be taken less frequently due to improved bioavailability. 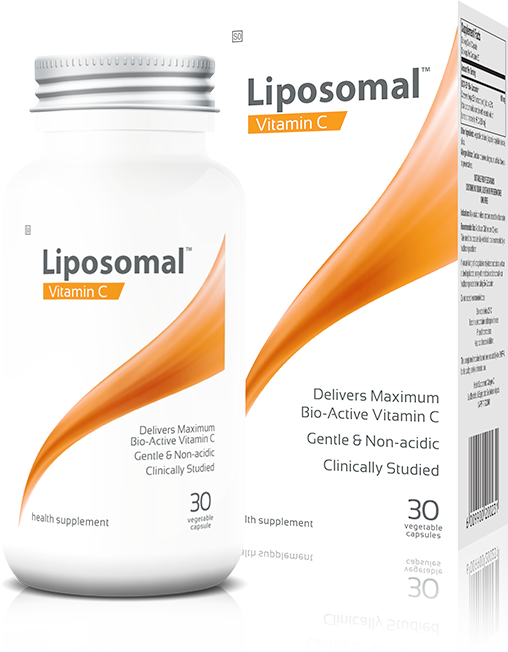 Our Liposomal Vitamin C uses the highest quality vitamin C – Qauli®-C. Liposomal technology is then used to entrap the vitamin C molecules, delivering superior bioactivity and active life. We are able to deliver all of this in the convenience of an easy to swallow capsule. Proven to deliver more vitamin C into the blood stream. Extended active life, simply taken once or twice per day.